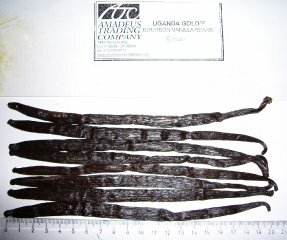 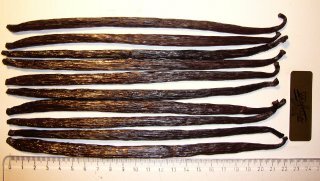 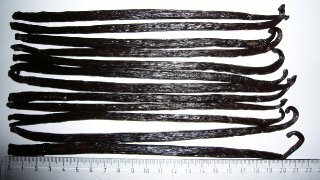 The “Longest Bean” award is just a fun way to juxtapose different beans and highlight the biggest vanilla beans reviewed at this site. 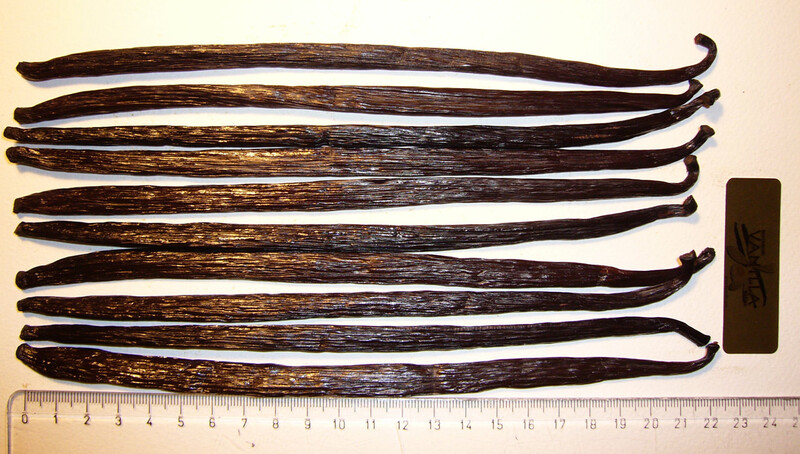 Click the picture for bigger sizes. 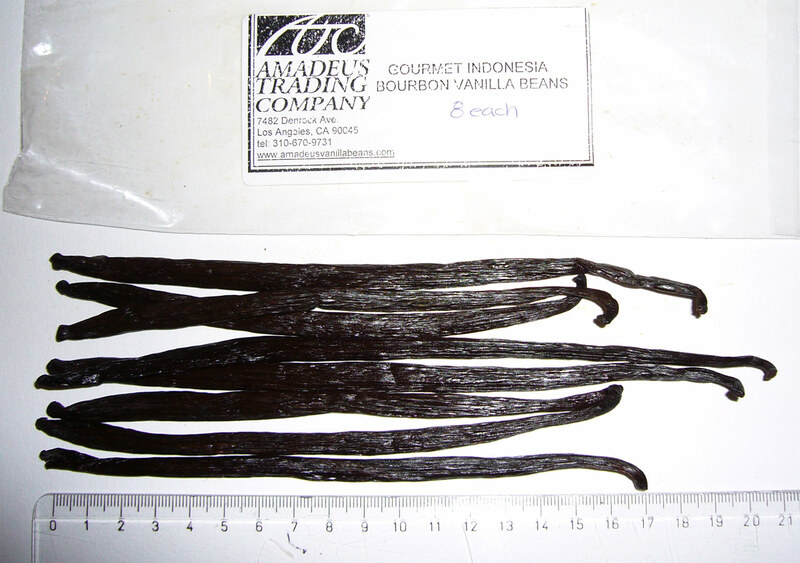 See all the past winners in the Longest vanilla bean gallery. 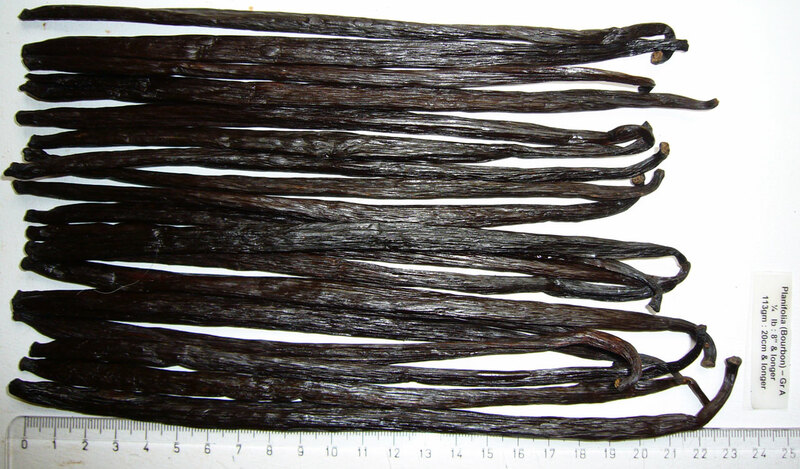 Past Winners See all the past winners in the Longest vanilla bean gallery. 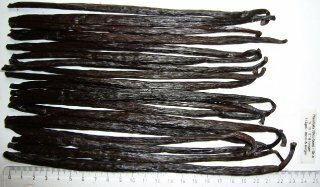 Just opened a kg of our organic beans from a batch of beans which came into Europe today from our plantation in the Tonga, and it was easy for me to immediately pull out 10 beans between 23- 25 cm in length. 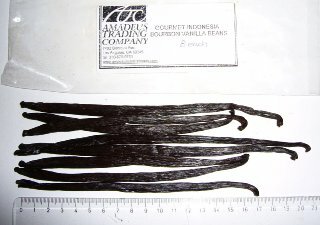 Im not going for the length record (because this is normal for us) but I counted the beans and there were only 153 beans to the Kg, making an average of 6.5 grams a bean. 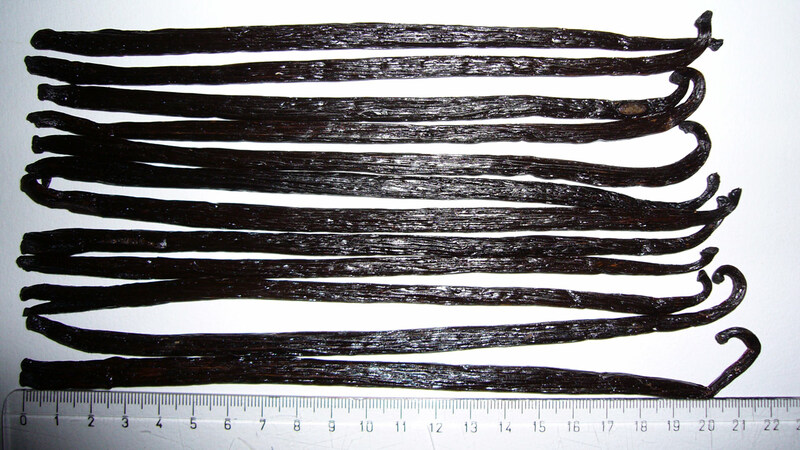 In addition we just had the vanillin content of our beans tested by an FDA approved company using chemical analysis methodology, and that shows that they contain 2.65% vanillin, which is up there with the highest in the world.